Easy Meals for Moms: Milk - It does a body good! Time for a little info about you. Please answer the following questions in a comment. You don't have to be registered to answer. You can do an anonymous comment - just let me know who you are. 1. 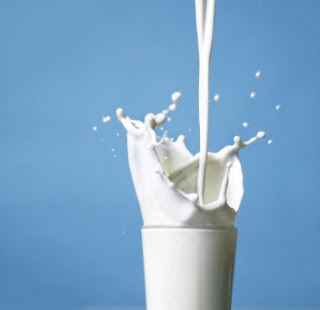 How many people in your home drink milk on a regular basis? 3. How many gallons of milk do you purchase for your family in a one week period? I have a nursing baby... does he count? Nobody else drinks milk unless its with cookies or in cereal. 3. Currently - I would say we use 3-4 gallons per week - but, when the twins were toddlers we peaked our usage at a gallon per day! 1. One drinks milk regularly in household of 2. 3. Less than one gallon per week. 3. 3-4 depending on if the second adult has more than in cereal or coffee. 1. 2 people drink milk on a regular basis. 3. 1 1/2-2 gallons per week.